Tour the Westminster wine region, home to Maryland’s largest wineries, on this guided, 5-hour tour. 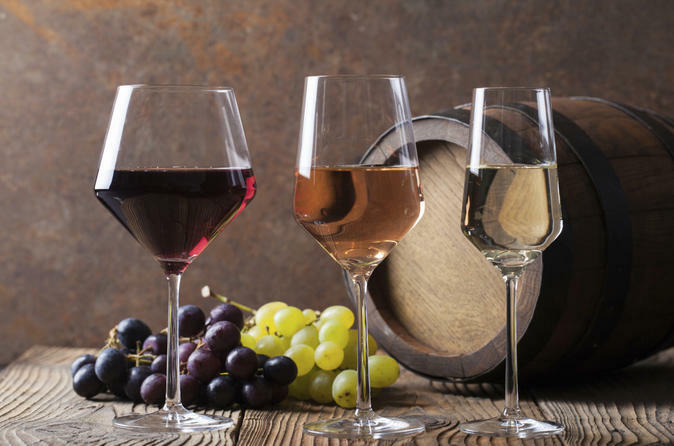 Visit two wineries to enjoy tasting the best wines the Westminster region has to offer. Meet local winemakers and tour the vineyards. Light snacks, beverages, and all tasting fees are included. Also, receive a collectible wine glass and tote bag. Westminster wine tours explore vineyards located in Western Maryland. The Civil War heritage and Maryland’s farming culture are celebrated here — reserving this rich history blends well with modern-day culture. The mix of old and new can be found in the vineyards in this region. This wine tour begins with a pickup at one of two locations: Parking and Ride Lot MD-32 and I-70 in West Friendship, MD at 10:45am and Lot MD-75 and I-70 in New Market, MD at 11:30am. Enjoy the comfort of an air-conditioned bus en route to the first winery. Winemakers use new and aged-old wine-making traditions. Some wines are grown in the Bordeaux style. Fans of Seyval Blanc, Cabernet, or Vidal Blanc will love the wineries on the Westminster wine tour. Some of the vineyards visited are Old Westminster Winery, Serpent Ridge Vineyard, Black Ankle Vineyard, Springfield Manor, and/or Linganore Wine Cellars. Meet the local winemakers and tour their vineyards. Light snacks, beverages, and all the tasting fees are included. Before departing, receive a collectible wine glass and tote bag as a lasting momento of the trip.